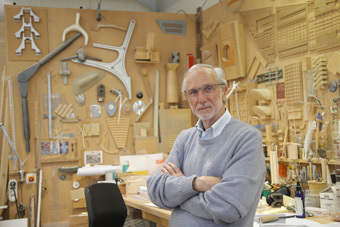 In autumn 2018, the Royal Academy of Arts will present an exhibition of the internationally-renowned architect and Honorary Royal Academician Renzo Piano, providing exceptional insight into the work, aspirations and achievements of a man whose buildings have enriched cities and spaces across the globe. The first comprehensive survey of Piano’s career to be held in London since 1989, Renzo Piano: The Art of Making Buildings will offer an overview of the architect’s practice through sixteen of his most significant projects. Rarely seen archival material, models, photographs and drawings will reveal the process behind the conception and realization of Piano’s best known buildings, including the Centre Pompidou, Paris (1971), Jean-Marie Tjibaou Cultural Centre, Nouméa (1998), The New York Times Building (2007), The Shard, London (2012), Jérôme Seydoux Pathé Foundation, Paris (2014) and the Whitney Museum of American Art, New York (2015).